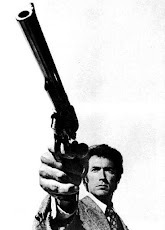 World Movie Series - 27 - Che part 1: The Argentine ~ Scorp's Say ....! Ernesto Guevara. A name which is otherwise known as ‘Che’ to the millions of people who live with the fire of revolution in t heir hearts. A very important personality of the twentieth century. A name which can never be erased from the history of the world’s revolutions. A godly figure to the Cubans worldwide. A devil to the American citizens. We see these days many people wearing T shirts which carry the image of Che. But I wonder how many of them know the role he played to liberate Cuba from a dictator named Batista (Nope. Not the one who features in WWE’s wrestling shows, but a real dictator) and the charisma he had among the Cuban people who considered him as a liberator and the role he later played towards the Bolivian revolution (which, of course failed). I’ll advice these people to try seeing the movie ‘Che’ first. Well, before we review the film, let’s take a look at the details of how the movie was made. 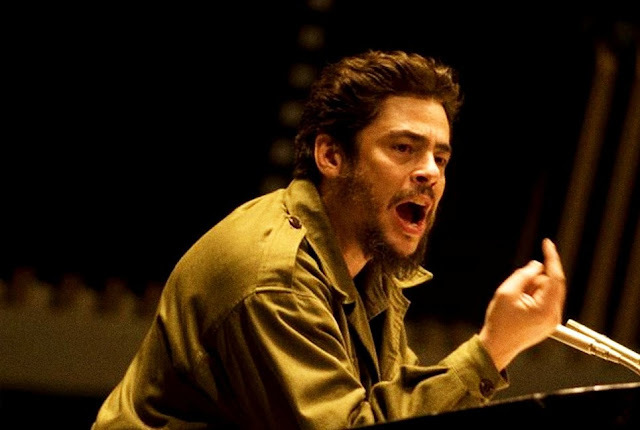 Talented actor Benicio Del Toro bought the movie rights of Jon Lee Anderson's 1997 biography Che Guevara: A Revolutionary Life. But, while he and producer Laura Bickford were trying to get a suitable writer for the movie, the rights expired in two years. But, Benicio Del Toro had begun researching the role, while they were searching for a writer. He did his research for seven long years, in which he read every possible book on Che Guevara, met most of the people who were associated with his life (including Fidel Castro), touring all over Cuba to see the places where Che lived and studying Che’s body language and mannerisms. After a certain period of time, when Del Toro felt he is ready to carry the role of Che on his shoulders, asked Terrence Malick to pen the script, as he had been to Bolivia as a journalist during 1966. But, due to shortage in funds, Malick moved out. It was then decided to ask Steven Soderbergh to direct the film, and to ask Peter Buchman to pen the screenplay, due to Buchman’s interest in researching historical personalities. Thus, the movie began to take shape. 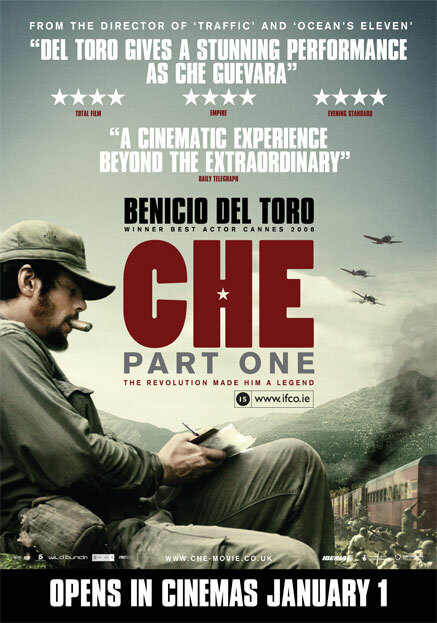 Initially, the decision was to film a movie on Che’s unsuccessful attempts to thwart the government of Bolivia, but then the stakeholders realized that there was no reason or a context which made Che to go to Bolivia, and so, they decided it would be better if the movie talks about the Cuban revolution first and then Che’s decision to go to Bolivia. But, after finishing the script, it was so huge that Del Toro and Soderbergh decided to cut the script in to two parts. The first part must be about the Cuban revolution and the second part about Che’s days in Bolivia. This is how the movie was made. The First part is titled as ‘Che – The Argentine’. The film begins with an interview of Che by a female reporter, Lisa Howard, after the Cuban revolution, and through the interview, the flashback of the Cuban revolution is shown in intercuts. The scenes of how Che and Castro meet for the first ever time, how Che joined Castro’s ‘July 26th’ movement, how they travel to Cuba in a boat, how the revolution started, how they gradually started to launch guerilla attacks on the Cuban army, how they successfully attacked the Cuban army barracks, how they were able to move in to the city of Las Villas, the battle of Santa Clara and how the dictator Batista finally fled out of Cuba, there by ending the Cuban revolution, and how Fidel Castro became the Cuban Prime Minister. We also get to see the fierce speech Che delivered in the UN during 1964 and his American visit. The revolution is shown in rich color, where as Che’s post revolution scenes are shown in black and white, giving the movie a documentary feel. Although the movie can be summarized in a small paragraph, the realistic scenes add an advantage to the film. The transformation of a young Argentinean doctor in to a fierce revolutionist is excellently portrayed in the film. Although the film starts with the meeting of a young Che with Castro, it has to be taken in to consideration that it was Che Guevara’s Latin American motorcycle journey for six long months which changed his entire attitude and made him in to a revolutionist. Read the review of the movie ‘The motorcycle diaries’ here. After joining the army of Castro, soon Che gets promoted to the role of a Comandante. He served in the July 26th movement as an inspirational leader throughout the revolution. In the movie, we see Che’s various traits, from being a very compassionate doctor and an inspirational leader, to being a ruthless executor of traitors, a masterful Comandante, a political leader and an author, a disciplined military officer who doesn’t want his troops to travel in stolen cars and instead prefers them to walk all the way to the country. The movie ends with the battle of Santa Clara and how Fidel Castro became the Prime Minister of Cuba. The movie was made in spanish and released in the year 2008 in May at the Cannes film festival and Benicio del Toro won the best actor award fro his brilliant performance. The second part of the movie is called ‘Che – the Guerilla’ which is entirely about Che’s Bolivian struggle which will be posted in a day or two in this blog. What do u thnk abt the movie "The Godfather"... nalla irukuma...??? This is a movie worth watching Vel.. see it..
Godfather will be juz great. Namma 'Nayagan', 'sarkar' ellathaium vida nalla irukkum. Kandippa paarunga..
Heah Scorp... Received both the Che Part 1 & 2 last month... Never got around to see that yet. Your review is a good intro to the making, will watch and comment shortly. Thiruvannamalai & Usmaan Bhai . . .